Here’s a look at things that have happened on Jan. 15. 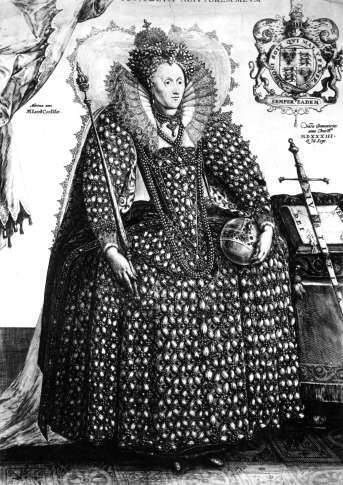 In 1559, England’s Queen Elizabeth I was crowned in Westminster Abbey. Today is Tuesday, Jan. 15, the 15th day of 2019. There are 350 days left in the year. On Jan. 15, 1929, civil rights leader Martin Luther King, Jr. was born in Atlanta. In 1862, the U.S. Senate confirmed President Abraham Lincoln’s choice of Edwin M. Stanton to be the new Secretary of War, replacing Simon Cameron. In 1892, the original rules of basketball, devised by James Naismith, were published for the first time in Springfield, Massachusetts, where the game originated. In 1919, in Boston, a tank containing an estimated 2.3 million gallons of molasses burst, sending the dark syrup coursing through the city’s North End, killing 21 people. In 1943, work was completed on the Pentagon, the headquarters of the U.S. Department of War (now Defense). In 1961, a U.S. Air Force radar tower off the New Jersey coast collapsed into the Atlantic Ocean during a severe storm, killing all 28 men aboard. In 1967, the Green Bay Packers of the National Football League defeated the Kansas City Chiefs of the American Football League 35-10 in the first AFL-NFL World Championship Game, retroactively known as Super Bowl I. In 1973, President Richard M. Nixon announced the suspension of all U.S. offensive action in North Vietnam, citing progress in peace negotiations. In 1981, the police drama series “Hill Street Blues” premiered on NBC. In 1993, a historic disarmament ceremony ended in Paris with the last of 125 countries signing a treaty banning chemical weapons. Ten years ago: US Airways Capt. Chesley “Sully” Sullenberger ditched his Airbus 320 in the Hudson River after a flock of birds disabled both engines; all 155 people aboard survived. Five years ago: In the latest in a series of nuclear stumbles, the U.S. Air Force disclosed that 34 officers entrusted with the world’s deadliest weapons had been removed from launch duty for allegedly cheating — or tolerating cheating by others — on routine proficiency tests. A highly critical and bipartisan Senate report declared that the deadly Sept. 2012 assault on the American diplomatic compound in Benghazi, Libya, could have been prevented; the report spread blame among the State Department, the military and U.S. intelligence. A $1.1 trillion spending bill for operating the government until just before the 2014 election steamed through the battle-weary House over tepid protests from tea party conservatives. One year ago: Singer Dolores O’Riordan of the Irish rock band The Cranberries died at a London hotel at the age of 46; a coroner found that she had accidentally drowned in a bathtub after drinking. American women lost nine of their ten first-round matches on the opening day of the Australian Open; they included Venus Williams and U.S. Open champion Sloane Stephens.